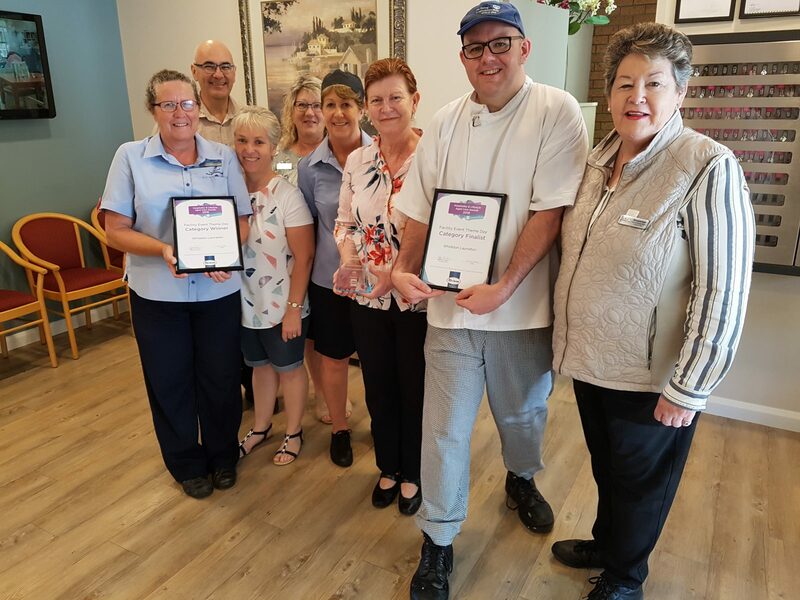 Whiddon Laurieton was announced the winner of the Facility Event Theme Day award at the Souped Up Hospitality and Lifestyle Aged Care Awards held in Melbourne last Friday, for their inspirational monthly event series that connects residents, staff and the community in celebration. The aged care home’s Around the Globe festival celebrates the cultural backgrounds of residents and staff with a monthly event that focuses on authentic and meaningful celebration and engages residents, staff and the community in its implementation. Whiddon Laurieton Director Care Services, George Fotoulis welcomed the announcement and said it is a wonderful way for this much-loved event series to be recognised. “We feel very honoured to receive this award and delighted that this festival has been embraced with such enthusiasm. Our staff and residents are very proud to share their stories, life experiences and culture through this event, which truly helps them to get to know each other on a much deeper level and create new experiences in the process,” Mr Fotoulis said.